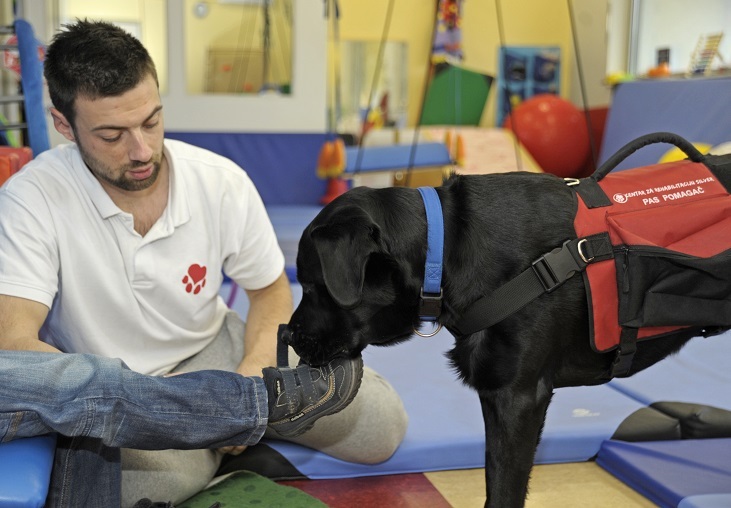 Sensory integration is the process that organizes sensory inputs so that the brain could process it into usable functional outputs – body reactions, thus enhancing the perception, feelings and thoughts. integration, self-regulation, disorder of muscular tonus, motor skill disorders, motor planning disorder, poor organizational behaviour, perception disorder, excitement disorder, sleep-wake disorder and difficulties with playing. Sensory integration dysfunction, as a neurological disorder, may emerge as a discrete disorder or as a symptom of a certain condition, syndrome or illness, in the case of insufficient maturity of nervous system as the result of premature birth, in children with motor skills development difficulties, in the case of cerebral paralysis, in children with autism spectrum, in children with visual impairment, in children with attention deficit hyperactivity disorder (ADHD), in children with speech and language learning disability, in children with impaired hearing, in children with intellectual disabilities, etc. 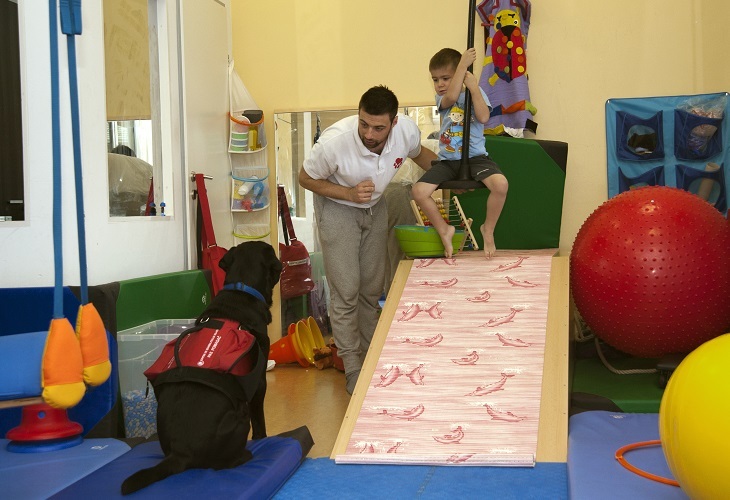 Functional abilities and behaviour of a child always benefit from the programme of treatment of sensory integration processes. 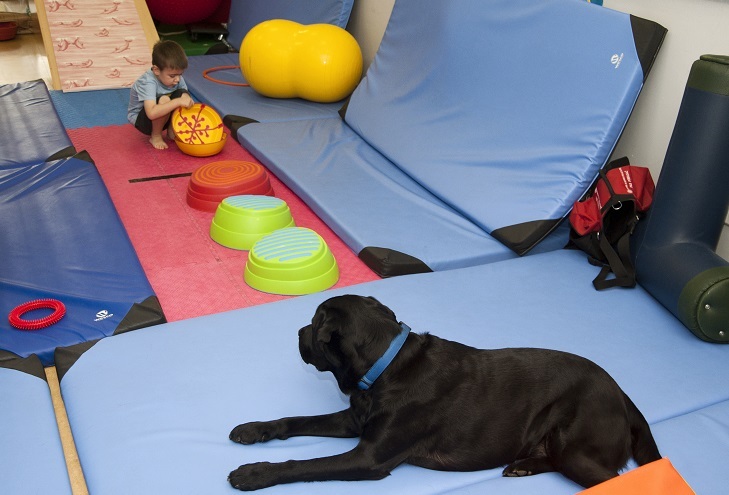 Sensory integration therapy, according to J Ayres, is proved to improve adaptability of children’s behaviour and enable proper reactions to the environmental demands. 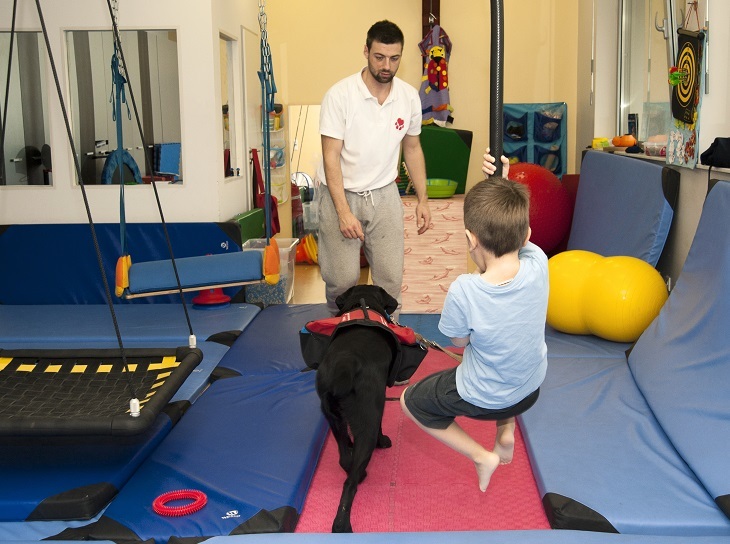 In children with developmental difficulties, who are often burdened with many other demanding therapies, the presence of a service dog during the sensory integration therapy facilitate a trust-building bond and a feeling of safety. 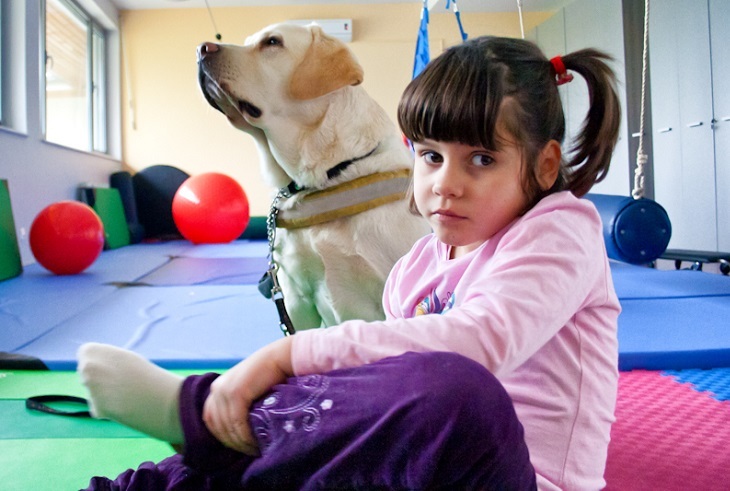 The dog and its presence in SI therapy provide a great emotional support to a child, lower anxiety, stimulate positive frame of mind, and the friendship with the dog creates the play therapy ambiance (stimulates the intrinsic motivation).Service dog is a motivator in playing and exercise, nevertheless, it affects the development of sensors and After an assessment, the child is included into the programme, which takes 6 months to 2 years, depending on the individual need of a child. 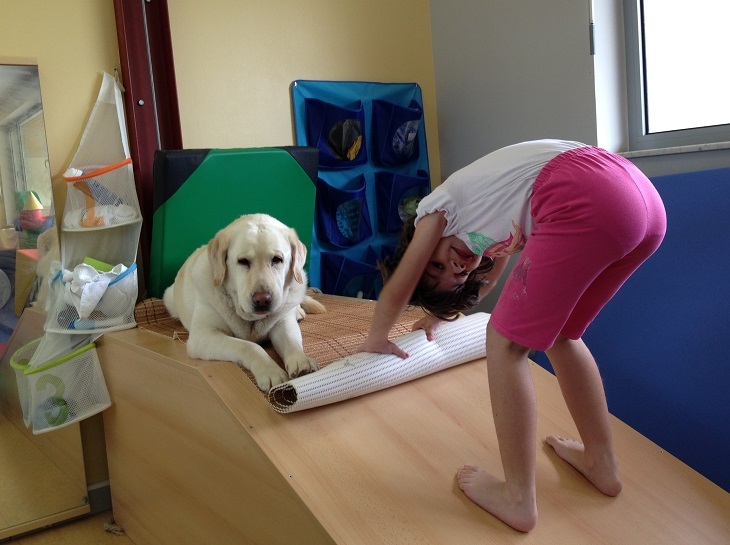 modalities of sensation (hearing, smell, touch…)… Through the child-dog interaction (grooming, feeding, giving water, fetch play, various games like going through a tunnel, over obstacles. etc. ), a child becomes accustomed to various sensory stimuli.